Parkeology is all about having fun and not being too serious. 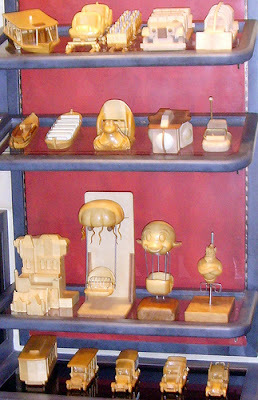 Afterall this is a blog about theme parks… not really world altering stuff. But sometimes things are just not fun or funny, sometimes thet are serious and sad. The past week and a half has brought us many shocking images from Japan. It is nearly unimaginable what has been taking place and trust me when I tell you that the Japanese infrastructure makes ours look like something that is pre-industrial revolution. If it can happen there is can happen anywhere. In some almost meaningless way I was directly affected by the unfolding disasters as well. We had just confirmed reservations for a trip to Japan the day prior to the earthquake, a trip that has of course now been canceled. 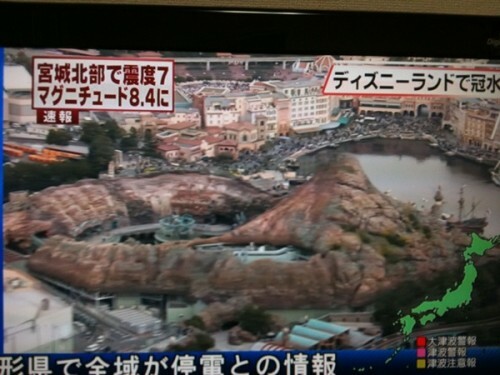 By all accounts the actual parks and for the most part all of Tokyo Disney Resort escaped any major damage, but the immediate area was hit hard. More so is the continued threat of a major nuclear disaster and the long lasting effect it could have on Tokyo. With the world watching and hoping for the best I thought this would be a good time to take a look at some of the small things that make the Tokyo Disney Resort so specialas well as the Japanese as a whole. They take enormous pride in how they run the resort; how they tend to guests needs and how smoothly the operation is handled day in and day out. While we may think Disney has (or depending on your point of view used to have) great customer service in the U.S. it falls far short of what they offer in Tokyo. Anyone would be proud of this. It is deeply ingrained in the people of Japan to respect and honor those who they are serving. Look at the situation in Tokyo now; there is no looting, no violence, and no mass hysteria that would make a horrible situation even worse. 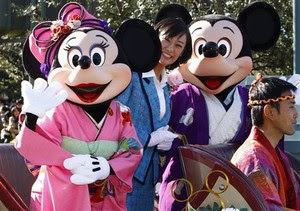 Rather there is calm and order and dignity and those same basic tenants carry over to the guest experience at Tokyo Disney Resort. guests may touch and feel them to better understand the attractions. One small touch is that even though the mass majority of visitors to the Tokyo parks are Japanese (only a couple of percent of the guests are non Japanese) the park bends over backwards to make sure non-Japanese guests have a great time. This can be seen in many ways but today we are looking at something they call Story Cards. These single page pamphlets are created for most of the popular rides and explain the plot to those who might not understand the language and therefore have trouble following the attractions storylines. They are printed in English but also available in Japanese for those locals who cannot hear. It is a very thoughtful and delightful touch. But beyond that they are often beautiful. As we saw with the old matchbooks what could be simple, practical and utilitarian objects are elevated into miniature works of design and art. Care is given to these double-sided cards, not only in the clarity of the explanations of the story but in the aesthetics as well. When a cast member spots a non Japanese-speaking guest they may offer the cards to help them out. Otherwise guests may request them from guest relations or from the actual attraction hosts. 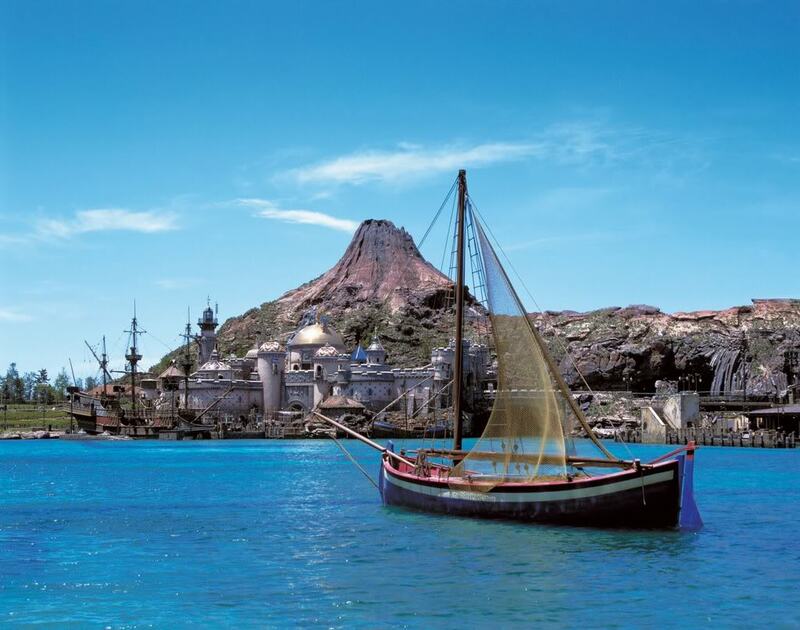 They are not widely known about and in fact it was only on my third trip to the resort that we discovered them when a host on the Sinbad attraction at Tokyo Disney Sea offered one to my daughter. We will post more in the upcoming days, but click on the pictures to see some of the wonderful details. This is a pledge I know they give from their hearts. I too look forward to seeing them again in the future, lets hope it is in the very near future. 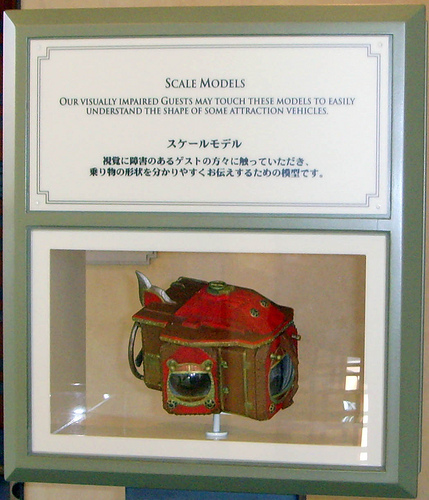 This entry was posted in Disney Theme Park Hidden Secrets and tagged story cards, Tokyo Disney Sea, Tokyo DIsneyland. Bookmark the permalink. Yes it is. Our hearts and hands go out to our Japanese friends. In fact those models of the ride vehicles for the visually impaired are VERY indicitive of the park and overall culture in Japan. Great care is provided in making sure everyone is looked after. Teh Japanese culture has very different sets of vlaues than Western cultures. It is built much moe on service and respect of elders etc. It is a wonderful place with fantastic people. Amazing post! The small details of Disney are what I love best (and are the most interesting, too, from an academic perspective; I’m writing part of my dissertation on Disneyland). 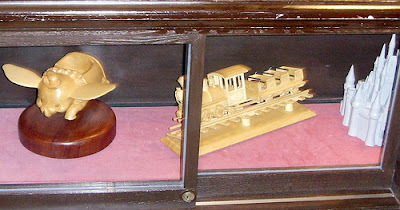 I LOVED seeing the model vehicles for visually impaired guests. They’re gorgeous, for one thing, but the simple fact that this accommodation has been made is even more gorgeous. And those story cards are works of art. I don’t know much about Japan’s culture, but if those mini-vehicles for impaired guests are any indication, Japan is a wonderful place. And I hope they are able to recover as quickly as possible from the devastation of the earthquake/tsunami/nuclear plant issues. I do not think any of us can truly imagine, it is unprecedented. However the Japanese are strong, proud people… I think if anyone can deal with it they can. Obviously by your name you would be interested in Snow White’s Scary Adventure! 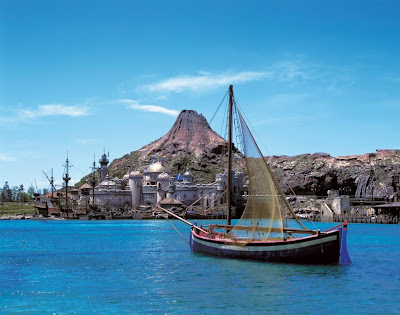 For some reason I am sorry to say the fantasyland rides are largely overlooked with the Story Cards, as is Pirates which I think would be perfect. Maybe the thinking is that the Fantasyland rides are based on beloved movies and so it is assumed that guests know the story of Snow White or Peter Pan already. We do have another round to post though, including Pooh’s Hunny Hunt which I believe is the only FL attraction represented (unless you include Mansion which is oddly in FL in Tokyo). I looked to your terrific blog often for humor and witty commentary on those many things Disney that escape the eyes of the rest of us. Thanks now for sharing such a wonderful and emotive tribute to the Japanese people. Even with seeing the videos, it’s difficult to imagine just what they are going through. It’s nice to see Disney bloggers showing support during this time. The Story Cards look amazing. The detail is fantastic. You don’t happen to know if there is one for Snow White’s Adventures?